What Went Wrong with my Soybeans Planted after Soybeans? Some growers who have not had good luck growing corn, have an expectation of lower input costs, want lower machinery requirements at harvest, or are looking at the grain market outlook when deciding to grow soybeans after soybeans. Almost all sources say that if a grower chooses to go with a continuous soybean after soybean rotation, he most likely should expect potential yield loss. Often times, this yield loss gradually increases, the longer that a field is planted with only soybeans. Most sources say that there can be up to 5 to 15% yield loss potential in soybeans planted after soybeans, when compared to a corn after soybean rotation. One source said that in stress years, there could be up to 20% yield loss in soybeans planted after soybeans. However, Dr. Emerson Nafziger, from the University of Illinois says that yield loss was not as high as some expected after analyzing 15 years of data from continuous soybean plots planted at University of Illinois Research stations in western Illinois. He found that in some locations, a field planted continuously to soybeans only yielded a few bushels less, when compared to a similar field planted to soybeans following corn. In a nutshell, if you choose to grow soybeans after soybeans, the days of “planting soybeans and forgetting them” are over. A soybean after soybean crop will need to be highly managed. Field placement, fertility, production selection, disease scouting, and weed management will all be factors for determining potential yield loss. The biggest disadvantage of a continuous soybean crop is the potential for an increase in disease as well as soybean cyst nematode populations. Many are unaware of just how many disease management benefits are gained with crop rotation. Soilborne diseases such as pythium and phytophthora don’t necessarily increase when soybeans are planted after soybeans, but they are something you will need to contend with if fields are stressed, low-lying, or consist of poor drainage. Diseases that overwinter in soybean residue, such as bacterial blight, stem canker, pod and stem blight, Septoria brown spot, or frogeye leaf spot will increase. Frogeye leaf spot is one example of a disease that can cause significant yield losses in soybeans if found at high levels during flowering (R1-R3) on susceptible varieties. If survival structures of Sudden Death Syndrome or white mold are found in the soil, a continuous soybean crop will be truly challenging. The greatest threat to soybeans is soybean cyst nematodes (SCN). It is strongly recommended to conduct SCN test before planting soybeans after soybeans. Not just any field will do if planting soybeans after soybeans. This is because the yield penalty will only become greater in environments less suited for soybean growth. Avoid fields that are low lying or have poor drainage as these are the fields that will be more vulnerable to root rot diseases. The addition of seed treatments such as PowerShield® for early season disease and insect control is strongly recommended to encourage early season vigor. In addition, fields that have a history of heavy SDS, SCN, or white mold infection or infestation are not suited for a continuous soybean operation. Product selection of soybean varieties with disease resistance is critical, especially if there is a field history of soybean disease. Most soybean varieties have disease ratings for diseases such as SCN, Phytophthora, brown stem rot, SDS, frogeye leaf spot, and white mold. It is also recommended that you rotate between soybean varieties so that you are not depending on the same source of resistance every year, which can encourage the onset of disease resistance. Often times, planting shorter season or shorter relative maturities of soybeans will help avoid diseases that tend to make their debut later in the season. Some sources encourage a slight increase in planting populations within continuous soybeans; however, lower planting populations will be needed to reduce the onset of white mold. In addition, increase row width to 30 inches will also help to reduce disease. The planting date of soybeans may also need to be later for some diseases, such as SDS, that are more likely to infect soybeans in cooler or wetter soil conditions. The next yield threat in a continuous soybean operation will be weeds. This is because weeds are more apt to be kept in balance within a crop rotation. Growing soybeans after soybeans can cause a shift in weed species or increase one particular weed species due to the likelihood of herbicide tolerance. If weeds are a problem, later planting into warmer soils can aid crop emergence, so that the soybeans can better compete with weed infestation. If the disease white mold is not an issue, then narrow rows may be a way to encourage a faster canopy to face weed competition. Weeds will always try to fill bare soil. On the other hand, wider rows leave the option for tillage of weeds or incorporation of residue, which could harbor disease; however, tillage of any kind might aid erosion. When it comes to herbicides, a weed resistance problem is much more likely in soybeans following soybeans because it is much more difficult to rotate herbicides with different modes of action. It is highly advised to always start with a clean field before planting soybeans. A different herbicide program which consists of pre-emergence and post-emergence herbicides is required each year to keep weeds in check as well as curb the development of herbicide resistance within weed populations. Consequently, rotation of herbicide traits, such as a LibertyLink® followed by Roundup Ready® is recommended. Soil testing and keeping Phosphorus (P) and Potassium (K) levels in check within continuous soybeans becomes extremely important. Soybeans can remove up to .90lb of P and 1.50lbs. of K per bu/grain. Most of the K is taken up by the soybean plant 2 to 3 months after emergence and, if soybeans are deficient in K, the size and fill of grain will be reduced. The soybean grain will remove significant levels of K at harvest. In addition, when compared to corn, soybeans will remove equal or greater amount of P from the soil due to the greater amounts of P take up by the soybean grain. Soil testing will reveal nutrient removal levels and offer a basis for P and K replacement for the following soybean crop. 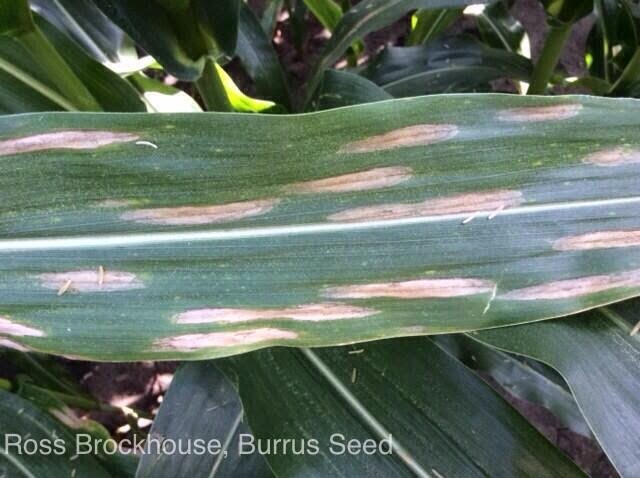 If deficient sulfur and zinc micronutrient levels might need to be supplemented in higher yielding environments. It has been shown that biologicals, like those in the PowerShield soybean treatment, can establish favorable relations between the soybean plant and soil microorganisms, to enhance the uptake of critical nutrients such as nitrogen and phosphorus. While taking soil tests, also be sure to check the soil pH and make sure it is around 6.5 to 7.0 for adequate soybean growth. Lastly, when comparing a soybean/soybean rotation to a corn/soybean rotation, there could be less soil residue left on the soil surface; therefore, there could be a greater likelihood of a lower amount of organic matter or biomass returned to the soil, reduced soil structure or less stable soil aggregates, as well as a greater likelihood for soil erosion to take place.